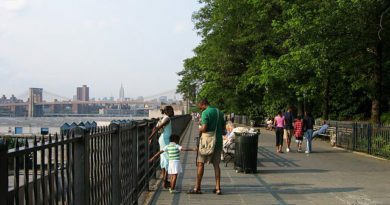 Looking north along the Brooklyn Heights Promenade, New York, USA. Photo courtesy Acroterion. A building in Brooklyn which was the property of Jehovah’s Witnesses was sold to a developer based in Florida, the Wall Street Journal reported. The developer, Kayne Anderson, paid $200 million for the 16-story apartment building located in Brooklyn Heights. 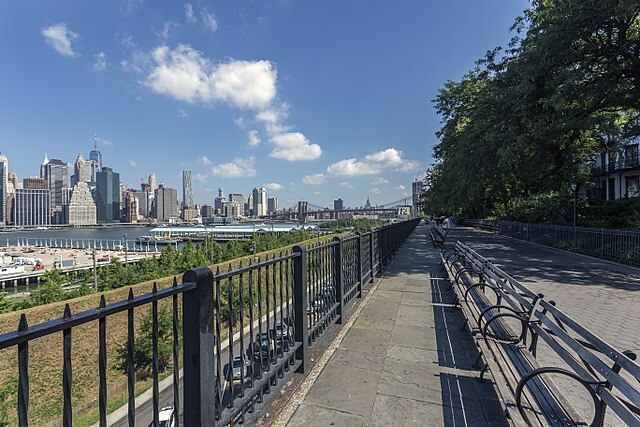 The developer renamed the building The Watermark at Brooklyn Heights, whereas it was previously known as the Towers. The plan is to convert the 295-unit residential building to a luxury senior housing with 300 units. Kayne said they will add a swimming pool, spa, and several dining areas in the 75,000 square feet the building holds. The developer did not reveal how much rent they will charge residents, but it is speculated that a studio apartment will go for about $7,000/month and two-bedroom apartments for about $10,000. If residents need assisted care, the monthly fee could double. The Jehovah’s Witnesses have been selling off their substantial Brooklyn holdings, which was up to 36 buildings at its height. They are moving to Warwick, New York, and have almost sold all their holdings.